Sol 2082, June 15, 2018. 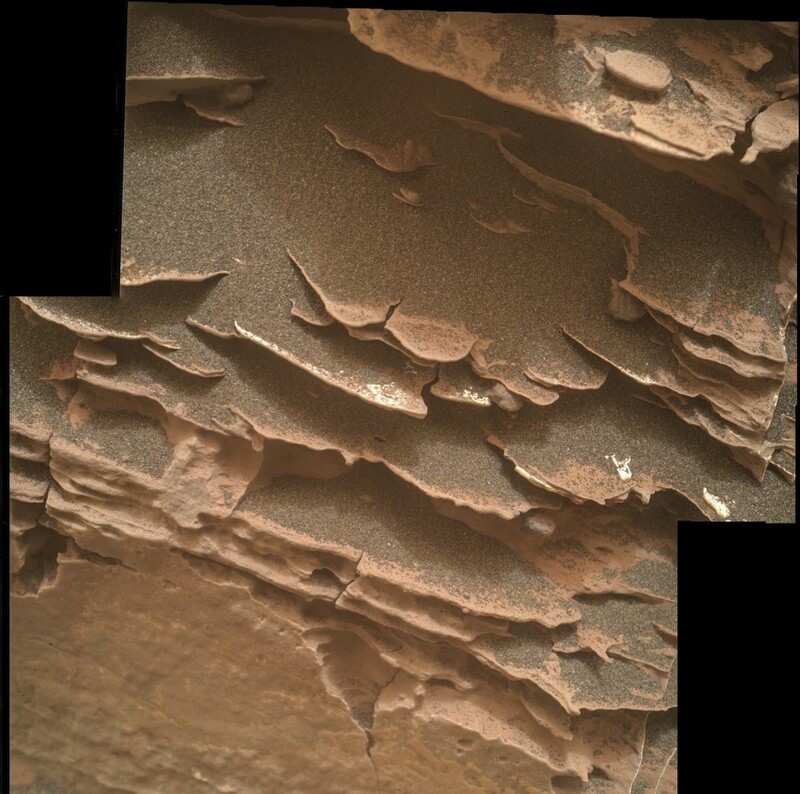 The Mars Hand Lens Imager (MAHLI) swooped in close to Duluth’s top surface for a good look at its flake-like layers. Above is a two-frame MAHLI composite image, while at right, the Mastcam shows the overall scene. Click either image to enlarge it. 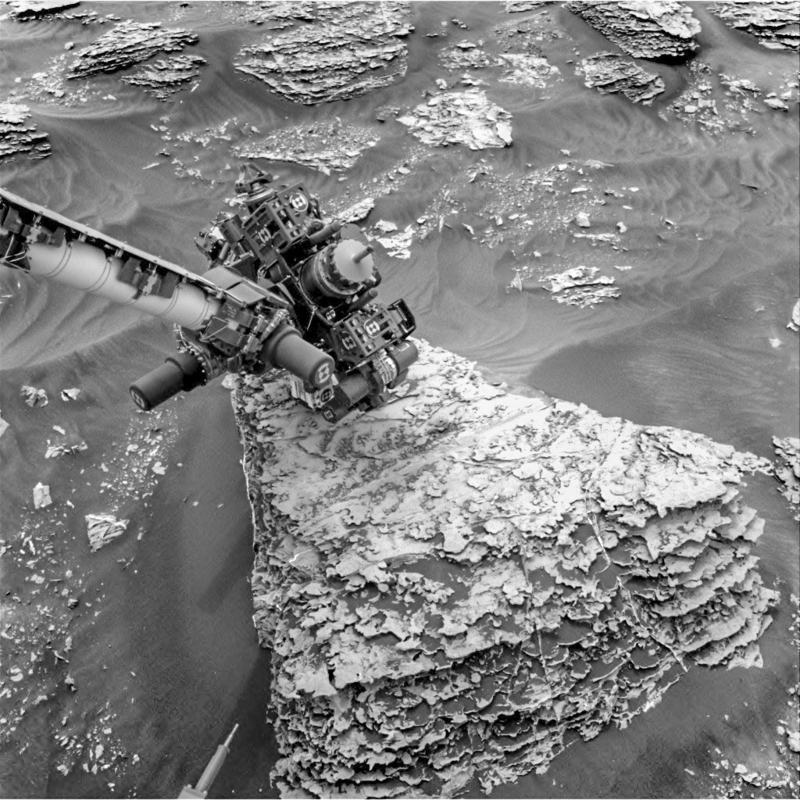 Sol 2082 raw images (from all cameras), and Curiosity’s latest location.